Fruits and nuts can cause allergy symptoms by being immunologically mistaken for pollen. This causes an allergic reaction in the mouth and throat. This “Oral allergy syndrome” type of allergic reaction usually occurs in people who are troubled with “hay fever”. If they have hay fever symptoms in the spring, due to birch pollen (and late summer hay fever due to ragweed pollen, especially in the USA). Another term used to describe this syndrome is “Pollen-Food Allergy”. Symptoms usually occur almost immediately, that is within minutes of eating the “trigger food”. Sometimes reactions may also occur from just handling the raw trigger food. In addition, then can be itching eyes, watery eyes, runny nose and sneezing. Sometimes this can progress to symptoms in the gut such as: vomiting, diarrhoea, gastric reflux and abdominal cramps. The cause of all of these problems is the cross-reactivity between pollen allergy and common food chemicals. The good news is that the solution is simple. This is because the food chemicals very susceptible to being destroyed by heat. Therefore, as soon as the food is cooked it no longer gives any adverse effects. The allergenic effect can usually be eliminated by cooking the foods. Sometimes simply peeling fruit makes it safe. Problem foods can usually be made safe if they: are well-cooked, or canned, or pasteurized or frozen. This is because these processes destroyed the proteins and chemicals that the offending cross-reacting proteins. Of course, people who suffer from OAS should avoid any raw foods which they recognize as causing symptoms. Antihistamines will often relieve the symptoms of this allergy. The OAS is caused by the immune system producing antibodies to pollens that by chance also recognize certain highly similar food proteins. Food allergy (in the presence of certain foods). Possible cross-reactions (to any of the above): berries (strawberries, blueberries, raspberries, etc), citrus (oranges, lemons, etc), grapes, mango, figs, peanut, pineapple, pomegranates, watermelon. 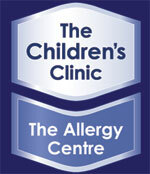 We can help you with a specialist consultation diagnose and manage this problem at the Childrens Clinic | Allergy Centre, Christchurch.